Note making is a useful skill which comes in handy not only in attempting questions but also in preparing you for life. Notes form an essential part of your academic life & help you in the following ways. Notes help you to remember the information you have gathered. Lengthy lessons can be condensed in to short relevant pieces by making notes. The students are required to read the passage to get a gist of the passage, to know what it is all about, or what the theme is. The main idea or the central theme of the passage should be found out. The important points related to the main theme are noted. Add the sub-points which supplement the main points. There is no need to give examples. Pay attention to the way you would like to present the notes, There is a proper format for note making you have to follow it & make your notes in the proper format. The pointes are numbered in different ways, but numbering should be consistent. Complete sentences should not be written. Abbreviation helps in writing the information briefly. The following are some of the ways in which you can use abbreviations. E.g. U.N. for United Nation M.L.A. B.Sc M.P. U.S.A.
Use third person indirect speech and the past tense wherever possible. It should be short/brief and to the point. Write the summary with the help of the notes you have already made. 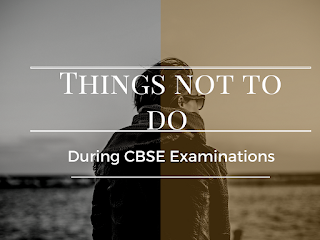 Note:- If notes are not given, then no separate marks for summary will be given. The work of the heart can never be interrupted The heart’s job is to keep oxygen rich blood flowing through the body. All the body’s cells need a constant supply of Oxygen, especially those in the brain. The brain cells like only four to five minutes after their oxygen is cut off, and death comes to th entire body. The heart is a specialized muscle that serves as a pump. This pump is divided into four chambers connected by tiny doors called valves. The chambers work to keep the blood flowing round the body in a circle. At the end of each circuit, veins carry the blood to the right atrium, the first of the four chambers 2/5 oxygen by then is used up and it is on its way back to the lung to pick up a fresh supply and to give up the carbon dioxide it has accumulated. From the right atrium the blood flow through the tricuspid valve into the second chamber, the right ventricle. The right ventricle contracts when it is filled, pushing the blood through the pulmonary artery, which leads to the lungs – in the lungs the blood gives up its carbon dioxide and picks up fresh oxygen. Then it travels to the third chamber the left atrium. When this chamber is filled it forces the blood through the a valve to the left ventricle. From here it is pushed into a big blood vessel called aorta and sent round the body by way of arteries. Heart disease can result from any damage to the heart muscle, the valves or the pacemaker. If the muscle is damaged, the heart is unable to pump properly. If the valves are damaged blood cannot flow normally and easily from one chamber to another, and if the pacemaker is defective, the contractions of the chambers will become un-coordinated. Until the twentieth century, few doctors dared to touch the heart. In 1953 all this changed after twenty years of work, Dr. John Gibbon in the USA had developed a machine that could take over temporarily from the heart and lungs. Blood could be routed through the machine bypassing the heart so that surgeons could work inside it and see what they were doing. The era of open heart surgery had began. In the operating theatre, it gives surgeons the chance to repair or replace a defective heart. Many parties have had plastic valves inserted in their hearts when their own was faulty. Many people are being kept alive with tiny battery operated pacemakers; none of these repairs could have been made without the heart – lung machine. But valuable as it is to the surgeons, the heart lung machine has certain limitations. It can be used only for a few hours at a time because its pumping gradually damages the bloods cells. On the basis of your reading of the above passage make notes on it, using headings & Sub headings. Use recognizable abbreviations wherever necessary (minimum 4). Use a format you consider suitable. Supply an appropriate title to it. Vital for living (i) never stop wrkg. Supplies oxygen rich blood to diff. Parts of the body. Blood purified in the lungs. Arteries carry pure blood to diff. Part of the body. History of open heart Surgery. (i) can be used only for a few hrs. at a time. The heart is a vital organ of the body, which never stop working. It supplies oxygen rich blood to all parts of the body. It is divided into four chambers inter connected by valves. Blood is purified in the lungs and arteries carry it to different parts of the body. Heart disease has various cause such as weak muscles defective valves or a defective pace maker. The era of open-heart surgery began in 1953 when Dr. Gibbon developed the heart lung machine. Replacement of valves and other areas of a damaged heart is now possible. Read the following passage carefully. The great wall of china is said to be the one structure built on the earth by man on earth, which could be visible to observe on the moon. It covers a distance of 1500 miles. From the Liaotung Peninsula Westward to the last fortress in Central Asia, it crosses the northern province of china. In the eastern section its height varies from 15 to 30 feet, and its width from about 25 feet at the bottom to 15 feet at the top, where there is a pathway wide enough for six horse– men to ride side by side protected by parapets. When the wall was first built it had about 25000 towers each 40 feet square and 40 feet high projecting from it every few hundred yards, with holes from which the defenders could shoot at attackers. There were also many watch-towers on the enemy side, outside the wall on hilltops or passes. These and the towers of the wall were used for signalling with smoke or flags by day & with fire by night. The great Emperor Shih Huang Li joined these earlier frontier walls to form a great wall to act as boundary between China & the north and keep out the feared nomads of The Mangolian steppes. The wall was designed to strengthen the nation’s defences. Later it became in Ming times, a substitute for a strong army and state. Construction was started in about 221 B.C. and the structure was practically completed when Shih Huang Li died in 210 B.C. The man who did most in carrying out the emperors plans was general Meng Ledn who in 221 B.C. led an expedition against the Tartars and drove them back from the Yellow River into the Steppes, and set his men to work on building the wall. They were later joined by thousands of Convicts. Year in and year out in icy winds and snow storms in winter, and in dust stroms in summer, the work went on and so many men died. The wall therefore was sometimes called the Longest Cemetery in the world. The core of the wall is earth and stone, faced with bricks and set in a stone foundation. In hilly place the design was altered; two parallel ditches were dug out of the rake, 25 feet apart and great blocks of stone were laid in the benches to a height of several feet. Along each said of these stones, baked bricks about 2 feet long were laid at right angles to the face of the wall, joined together with a white mortal so hard that no nail could be driven in to it. Emperor Wu Ti (140-86 B.C.) resumed work on the wall and extended it to its greatest length The Emperors of the Ming Dynasty (A.D. 1386-1644) carried out work on the wall repairing its whole length and establishing new wall west of the yellow river. The wing dynasty, which now exists dates from the Ming. Hist. of construction & development of the wall. 1) Abbreviations (at least 04) must be part of your notes. Other wise 01 mark may be deducted. Note :- Summary should be developed with the help of the notes .